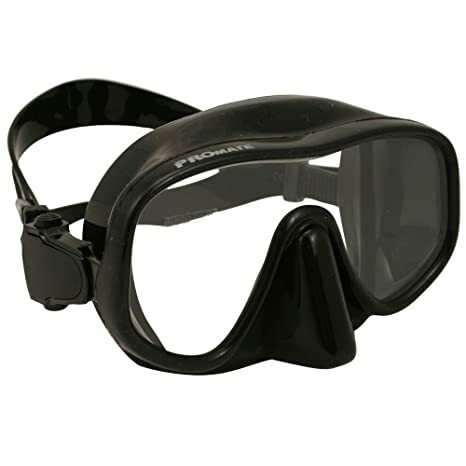 1 Why Do You Need the Best Freediving Mask? 2.6 How to Care For Your Freediving Mask? Do you have a mask yet? If not, this article is for you. If you do, does your mask fog up, leak water, feel uncomfortable? This is UNACCEPTABLE! This guide will help find a better replacement mask so you can give your current mask to someone else or recycle it. Don’t let the number of masks scare you. It just means there is a perfect mask out there for you! 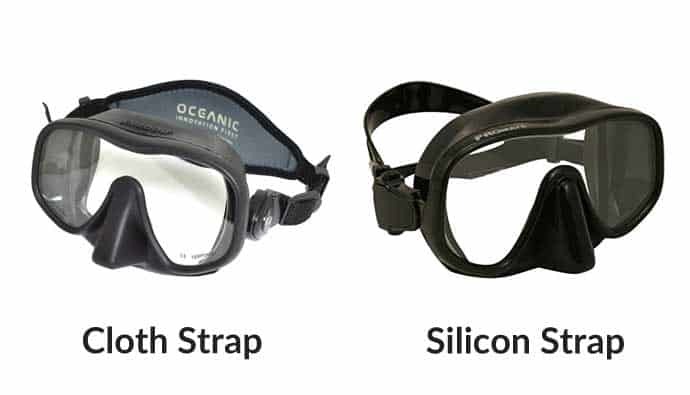 Why Do You Need the Best Freediving Mask? Because you DON’T want mask squeeze! 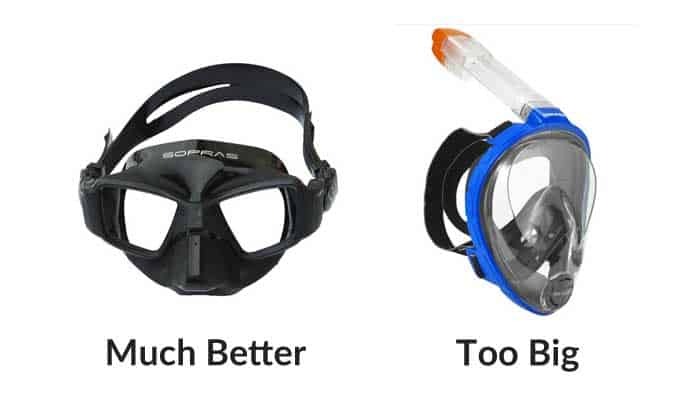 That’s why many freedivers spend the extra money getting a high-quality mask, especially one with low volume so it’s easier to equalize quickly. Outside of the scary eye squeeze, factors such as comfort, looks, and environment protection are what freedivers demand from their masks. Moral of the story…don’t skimp on too cheap a mask…this isn’t simple snorkeling. If you’re going down deep, whether freediving, spearfishing, or scuba diving, you need a quality mask. Let’s looks at the features that define a quality mask! 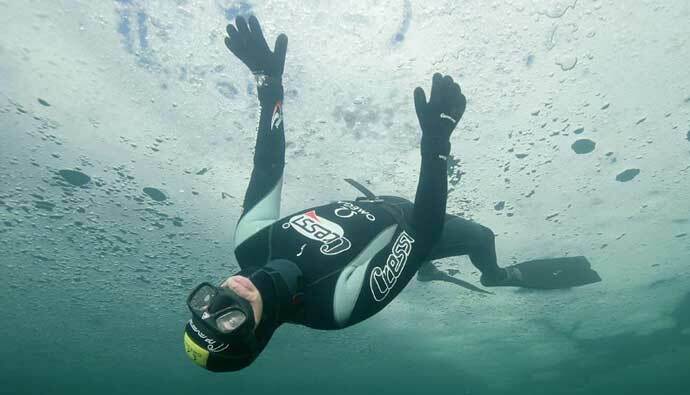 Finding the best freediving mask comes down to three main factors. Comfort and how effectively it keeps water away from your face. Level of visibility so you don’t get distracted. Ease of diving so you can focus on getting deeper. If your mask feels good, you’re not going to wear it. Why pay money for something you use once and then throw it in the garage and it never sees the light of day? Comfort comes down to how the mask sits on your face. The material that interfaces between your skin and the plastic holding the lens is typically silicon. Silicon comes in a variety of hardnesses, but you’ll probably like to have a softer mask than a harder one. Overall, it needs to make a great seal. Softer silicon will usually allow this to happen because it’ll flex to all the contours of your face and prevent air from leaking in or out. This is different if you’re rocking a beard. Then it’s best that you find a harder silicon mask so it forces your hair to lay flat against your face and make the seal. The best way to check the seal is with a test. First, put the mask up to your face without the strap. Inhale and suction the mask to your face. Does it stay on after you remove your hand? If it leaks here, it’ll leak in the water! Now check to see how easy it is to pinch your nose. You’ll be doing this to equalize in the water so if it’s hard to do it here, it’ll be hard when it matters most. I don’t want you blowing out your eardrums. It took me awhile to find one that had a smaller nose…the struggle of being part Asian, so try a few masks to be sure you know the difference between ease of pinching a mask. Another thing to check during your comfort check is how hard the mask presses into your forehead. If it’s too hard, it’ll most-likely produce a bad seal and should not be used. This might all sound daunting, that’s why I recommend buying multiple masks and trying them on at home. Then simply return the ones you don’t like. It’s like visiting a dive shop, but you don’t have anyone pushing a specific mask on you. But, if you can’t find that perfect fit, then, by all means, hit up your local dive shop and help support them! When it comes to materials, a mask is fairly simple. First, you want to start with your lenses and they should be tempered glass. Stay away from plastic as they can scratch easy and can cloud up as they get older. The mask area holding the lenses will tend to be plastic. Nothing super special here except maybe if you buy one with a GoPro attachment point so you can grab sick eye perspective shots. Around the plastic lens holder will be silicon and this creates the gasket around your eyes and nose to prevent water from leaking in. Get a dark color that is soft enough to create a good seal. Remember, get a harder silicon for people with beards. The last part is the strap, which we’ll cover in the next section. The strap will likely be either silicon or a stretchable fabric (similar to wetsuit material). They are easy to switch between the two depending on your personal preference. I personally like the stretchable fabric style because they have a wide surface area for the back of your head and look way cooler. A few things to note around how tight a mask should be. Keep it relatively loose, but tight enough to keep water out. As you dive deeper the pressure from the surrounding water will push the mask tighter against your face. 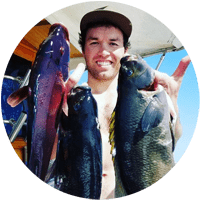 Just make sure you do the bulk of the adjusting before getting into the water as it’s sometimes harder to adjust if there are waves or if you’re wearing gloves, say during spearfishing. It’s important to see underwater since your other senses will be dampened. To get a wide view of your surroundings without having to turn your head all the time, it’s important to either have wide lenses or lenses close to your face. Make sure your lenses are not tinted as it gets darker as you dive down since the light has to travel farther through the water from the surface. Keep it simple, keep them clear. If you need prescriptions lenses, make sure you get a pair of goggles that can be special ordered or have the lenses replaced. 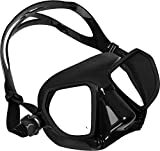 The best freediving masks are low volume. Large volume are better for snorkeling.. Bigger lenses create more volume inside the mask which makes it harder for you to pressurize as you’re diving deeper since the air in your lungs is also getting compressed. 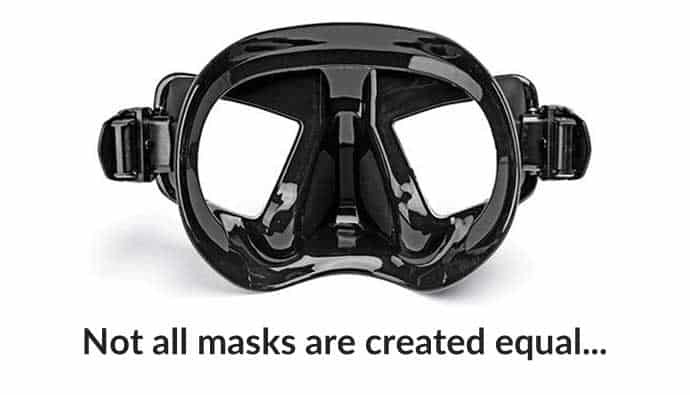 That’s why freedivers tend to get a mask where the lenses are closer to your eyes so you can see the same as the larger lenses and the volume is drastically reduced. Shoot for a low volume mask which has around 80 milliliters of air versus a larger mask that might be around 160 milliliters. How to Care For Your Freediving Mask? Caring for your mask, although not difficult, will ensure it’s long life. A quality mask will be about to last you many years, which keeps more money in your pocket! So what’re the steps for setting up and caring for best freediving mask you just found? Most masks that are plastic come with a factory film on the inside, outside, or both sides of the lens. If you forget to remove this before you go, dive, you’ll get fog like you wouldn’t believe. Trust me, this is annoying and will ruin your dive. Sure you could put some water in your mask and let it swirl, but it’s a temporary fix to a simple problem to fix. The first method you can do is to put toothpaste or a mask scrubbing cleaner around the lens and scrub away. Let it dry and then rinse it out. The coating should be gone. However, I’ve tried this and sometimes you don’t get all the coating off, that’s why the lighter comes in. Some people take a lighter and hold the flame over the lens and that burns off the silicon film. This method to me is more fail-safe. Don’t worry about ruining the silicon, just keep the flame on the glass. If either method doesn’t work, try doing both and keep alternating until it works…it has to work. It’s hard to shoot fish when you can’t see them…doh! This is by far the easiest step of taking care of your mask. After each time you use it in the ocean or pool, make sure you give it a good rinse under flowing water. Then hang it up to try outside of direct sunlight and you’re done. To keep the silicon in good working order for longer, you should probably keep it out of the sun and not leave it in a hot car for too long. I like to keep mine in the closet with my other gear in a cool dark place in the house. Buy multiple masks to test at home. Do the comfort test by inhaling and keeping the mask on your face without the strap. Did it leak? If so, return the mask. Are you able to pinch your nose? Did it sit well across your face? Is it a dark silicon mask to prevent light from the sides? Do you like the strap style? Is the volume of air low? Is your mask adjusted before going into the water? Did you remove the silicon from the lens using toothpaste or a flame? Can you see out of your mask? Whew…it’d be bad if you didn’t. Do you know how to clean it after it’s used and where you should store it? If all these items check out, you’ve found the right mask for you! If you are just getting into the sport of freediving, the reality is you’ll probably not be going to the crazy depths advanced divers reach. Therefore it’s important to pick a mask that is comfortable, but one that will most likely be put in storage without a second thought when you upgrade to a better mask. This Cressi is a frameless mask is sleek and made with a 100% liquid silicone skirt attached directly to the tempered glass lens. No mask frame means the frameless mask offers an incredible field of vision and packs flat. Cressi Desert Dry Snorkel is the first submersible dry top snorkel of the Cressi line. Great for kids to adults, anyone who wants to feel that much safer when they are snorkeling. 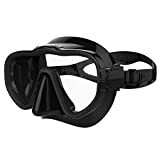 If you don’t need a snorkel or plan to get a freediving specific one, then I recommend you start with this low-volume beginner mask by Kraken Aquatics. They’ve designed in a flexible Silicone area that goes around your face to provide a leak-proof seal. This mask also uses the tempered-glass lens for safety: forget flimsy plastic lenses! This one is quality tempered glass, which resists scratching and shattering. If you need to adjust the mask simply pull the straps to desired fit and the buckle will hold the straps securely in place. This mask is also rugged enough for scuba diving thanks to its sturdy construction. Not a bad idea to have a mask that can be used for multiple activities. One last item worth noting, the one-piece lens should help you see better and not obstruct part of your view. Now you can enjoy all the underwater scenery clearly. Designed specifically with freedivers and spearos in mind, this low volume mask has a striking design that offers a wide field of vision. The viper mask sports a design that is ideal for freediving and spearfishing, and is available in reef camouflage colors of black, brown, and green. The skirt of this spearfishing mask is constructed to better fit facial ergonomics for a comfortable fit. The soft touch of the inner surface of the mask skirt is non-reflective. 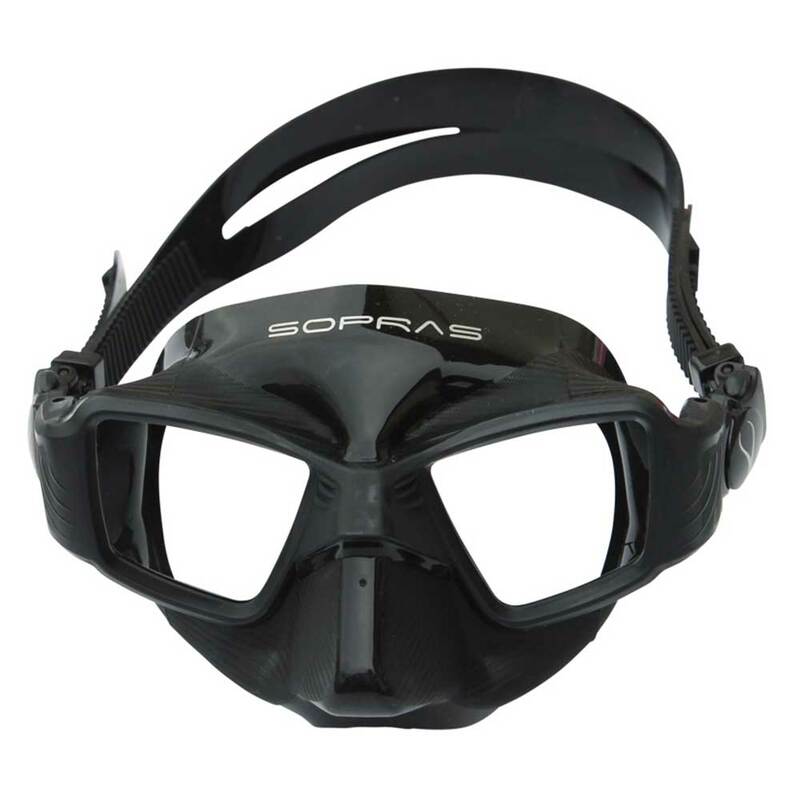 With a unique positioning of the mask lens, this spearfishing mask is designed to minimize internal volume and provide a wide field of view. If you’re looking for a spearfishing mask, you’ve found it. The Noah is a low volume mask with innovative technology for a frame merged in its space. Excellent range of vision and very light for a comfortable feel. Design and technical concept made by Salvimar. Micrometrically adjustable strap. The mask is also made with an opaque non-glare hypoallergenic silicone skirt. Touted by many freedivers to be the most comfortable freediving mask on the planet. Be sure to at least try this one on to see if they are right! Some freedivers like to blend in with their surroundings…well not typically but if they did this would be the mask for them. It’s a low-volume mask with a double feathered edge silicone skirt. 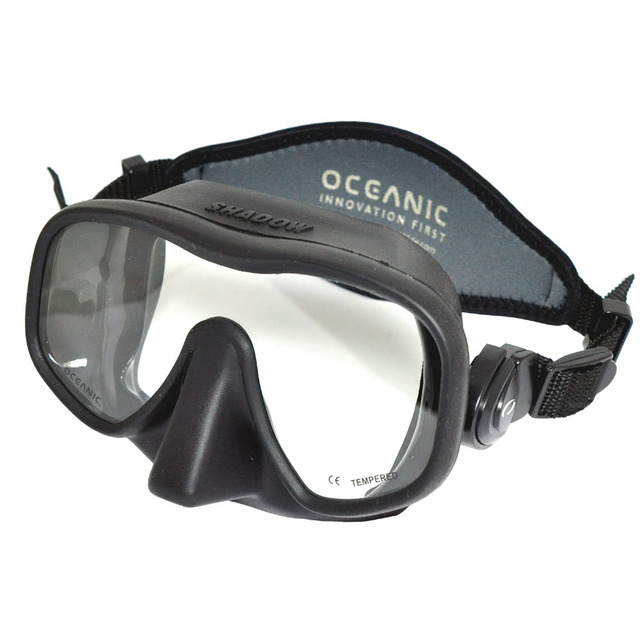 The wide split strap design allows for great grip on the diver’s head and the feathered edge with wide split strap combines to give a comfortable and perfect seal on your face. Using the highest quality tempered safety glass for lenses, you know that you’ll be protected both on the surface and in the depths. If you’re not feeling the all black look of the other masks, spice it up and try this one on. 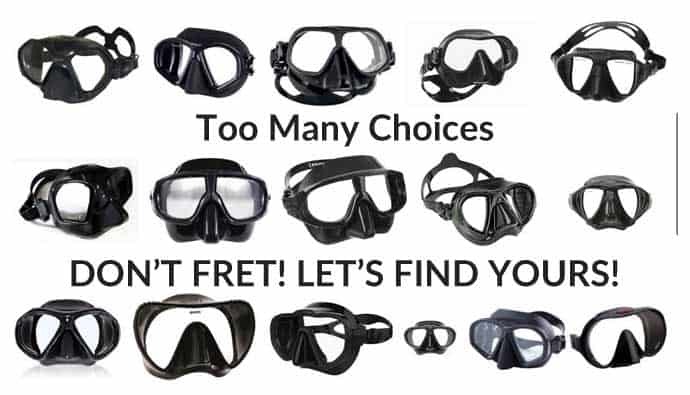 When it comes to finding the best freediving mask, it’s important to remember…there is NO SUCH THING as a best one. Everyone is different, which means their faces are unique. Your nose is a certain size. Your eyes are positioned in a unique spot compared to others. You may or may not have facial hair if you are a guy. Honestly, that’s why there are so many makes and models. Masks come in different hardnesses of materials, different transparencies, different volumes, different lenses, and that’s just scratching the surface. Although I recommend visiting a dive shop to try out a bunch of different masks to see which one is right for you, you might not have that luxury depending on where you live. A: Extremely knowledgeable so that when you do go into a dive shop you’re well versed in what goes into picking the right mask so you leave knowing you got the best one. B: If you can’t visit a shop, at least you can order one or two masks from here or elsewhere with high confidence that you’ll be getting the best one for you. A quality mask will serve you well for a long time. Don’t be afraid to try on a bunch of masks because once you find the one that was made for you, you’ll love you put in the extra time up front. Don’t forget to spit in your mask and rinse it out to prevent fogging up when you’re about to dive. I hope you found this article helpful. Let me know which mask you chose in the comments below!